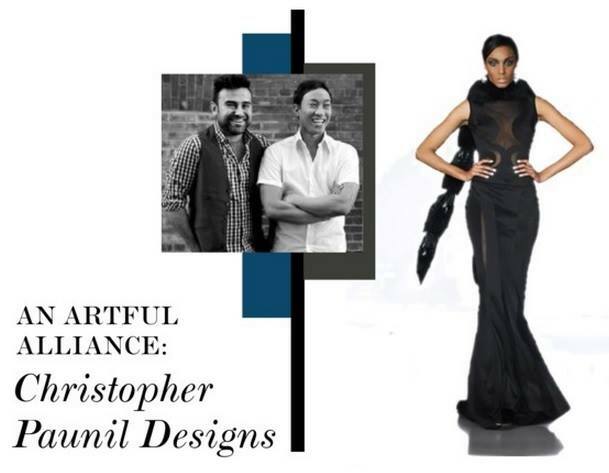 “The business of fashion is sometimes overlooked,” says emerging designer Christopher Paunil. While it is true that fashion’s creative facet tends to take the spotlight, a brand simply cannot survive without the essentials of commerce, finance, marketing, and administration. The Toronto-based designer, along with his business manager Chalo Barreuta, aims to strike a balance between artistry and business savvy. The duo recently spoke with CAFA about their latest ventures, including their residency at the Toronto Fashion Incubator (TFI) and designing for Kleinfeld Hudson’s Bay.